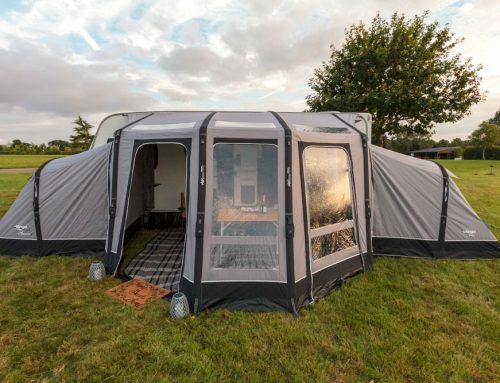 The Advanced Air Tube System features the time-proven Outwell One-go Inflation Technology that allows the camper to plug the supplied high capacity manual pump into a single inlet valve and inflate the largest of tents in next to no time – no moving the pump between individual air tubes. The simple-to-pitch and highly effective frame links uprights via an apex tube that also acts as a ridge pole for increased rigidity. 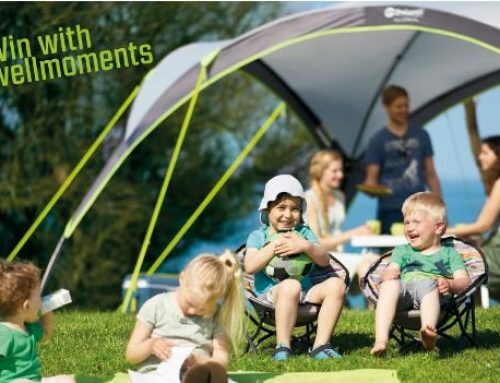 In the unlikely event of damage, each individual upright assembly can be isolated using valves to prevent the frame from fully deflating and to facilitate easy repair. 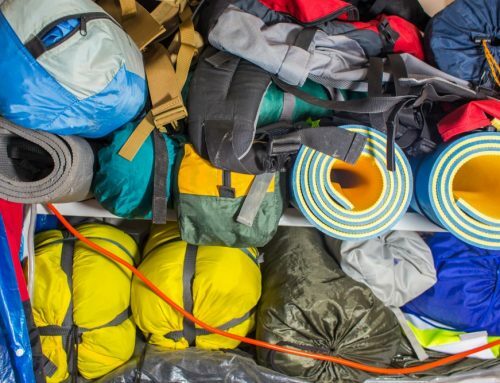 All the air outlet valves can be opened to rapidly deflate the tent for packing. 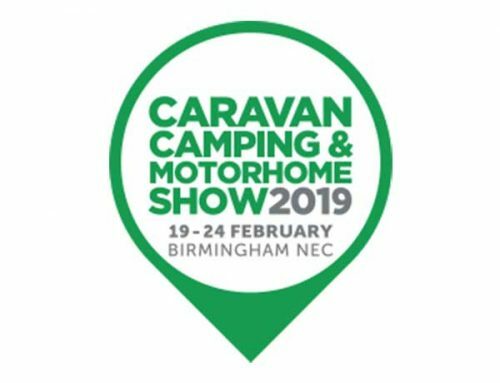 This system is available in the flagship models, including Smart Air Polyester and TC collections, the Smart Air Touring drive-away awnings and all Smart Air caravan awnings. 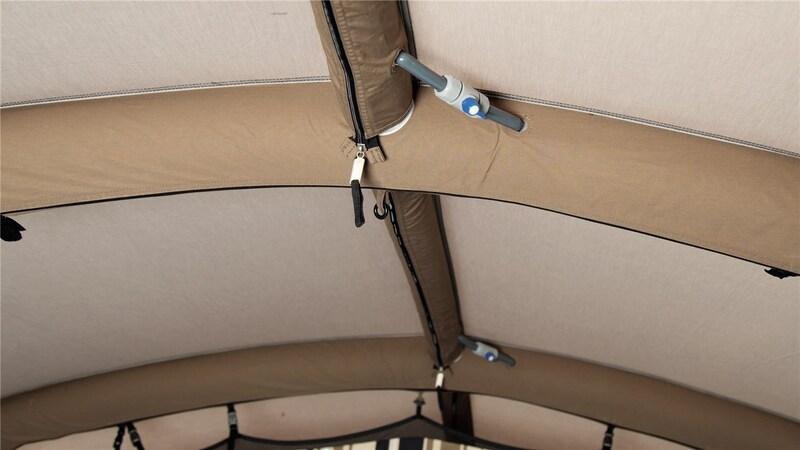 The Power Air Tube System has been designed to create a tent frame that is physically easier to manage. 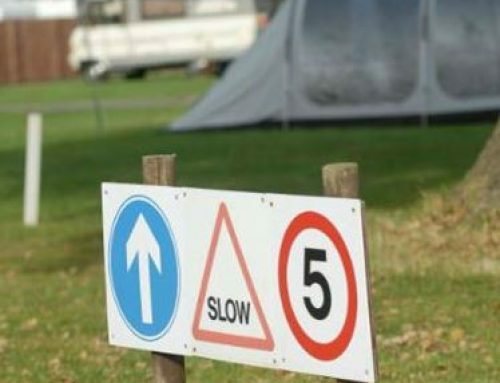 Individually tubes are inflated and deflated separately using valves that have external access. 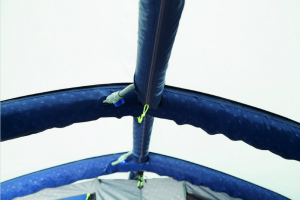 Stability is enhanced by the manual placement of separate air tubes along the tent ridge between the main tubes. 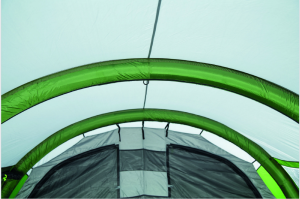 This system supports Outwell Air Comfort and Air TC tent collections. The Outwell Rigid Air System is physically the most undemanding and simplest to use, comprising individual tubes that are inflated and deflated separately via easy-access external valves. 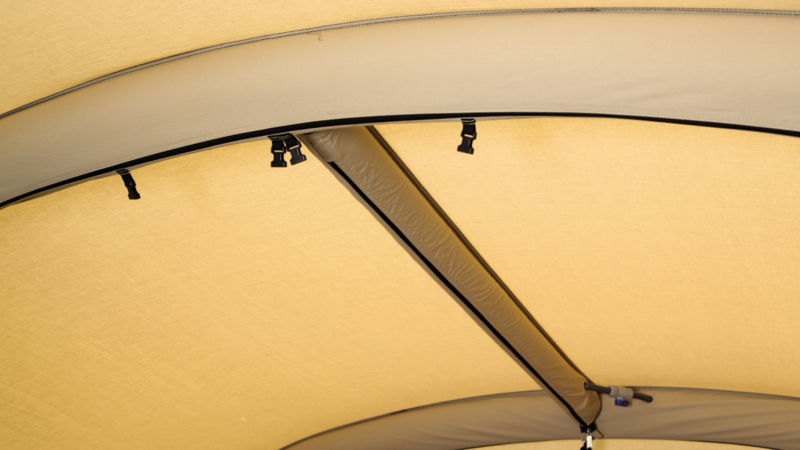 The system is used in Air Polyester tents and Air Crusing drive-away awnings and has been designed to gently introduce campers to Outwell air technology without incurring a hefty tag – perfect for newcomers or those who are considering moving away from traditional pole tents.